Center For The Arts, Ste. Genevieve. The deadline has been extended for the Center for the Arts juried art show for high school students in and near Ste. Genevieve. Several artists requested the change because the former date conflicted with another regional high school art show. The new deadline for turning in art work is May 16th. 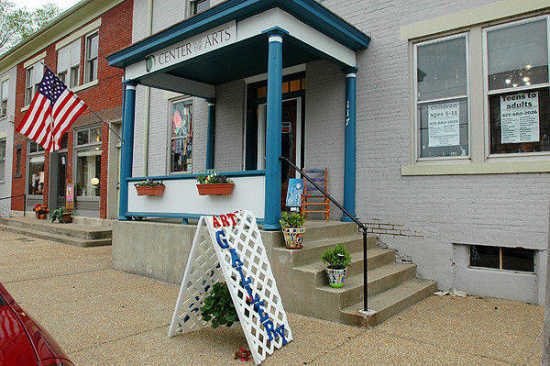 The Center For Arts will announce the winners during May's 4th Friday Gallery Walk, which is May 22nd. Cash prizes will be awarded to best of show, second and third place winners. The art contest is open to any student ages 13 to 18 attending public or private high schools in a city within a 60-mile radius of Ste. Genevieve. Home schooled students also are eligible. In keeping with the Center's goals of promoting artistic expression in a broad range of mediums, the contest will feature many artistic categories. All forms of painting, drawing, sculpture, photography, graphics and digital art will be eligible to enter. Students can enter up two pieces each, and all art entered will be on display for a month at The Center For The Arts. The judges for the juried contest will professional working artists. There is no fee to enter.